(speech delivered at the Conference on the Role of the University in an Urban Setting, Milwaukee, Wisconsin, 28 October 1960). Julian H. Levi, Executive Director, South East Chicago Commission,”The University and Preservation of Urban Values in Chicago”(speech delivered at the Conference on the Role of the University in an Urban Setting, Milwaukee, Wisconsin, 29 October 1960). During World War II, the United States federal government began to sponsor basic research, of which the most prominent example was the Manhattan Project to develop the atomic bomb, to bolster the nation’s war effort. In the economic boom after the war, the government expanded its commitment to funding research, much of which took place at universities. Approximately 1.5% of the University of Pennsylvania’s income for fiscal year 1941 came from the federal government “for national defense projects.” Ten years later, research money from the federal government accounted for 6.4% of Penn’s total annual income. By 1961, “reimbursements from the United States Government for training and research projects”at the University had more than tripled to 20.6% of the annual income. Penn’s reliance on government funds peaked at 28.8% of its annual income in 1966, but government funding continued at a high level through to the end of the decade, accounting for 21.2% of the annual income in 1971. Over the same thirty-year period from 1941 to 1971, money from tuition and related fees dropped from 36.8% to 20.3% of Penn’s annual income. It is interesting to note that the federal government’s high level of funding for university-level research in the late 1960s was paralleled by its huge investment in the efforts of the National Aeronautics and Space Administration (NASA) to put an American on the moon. It was with this backdrop that the University chose to support the University City Science Center, which aimed to provide opportunities for this increasingly lucrative high-level research. As it expanded its role in funding scientific research, the federal government also began to invest in the improvement of America’s cities. With the Housing Act of 1949, Congress established the “Slum Clearance and Community Development and Redevelopment”program, commissioning federal funds to “assist local communities in eliminating their slums and blighted areas and in providing the maximum opportunity for the redevelopment of project areas by private enterprise.” Five years later, Congress further expanded and greatly changed the emphasis of the urban improvement program with the Housing Act of 1954. One of the principal goals stated in the Housing Act of 1949 was of “a decent home and a suitable living environment for every American family,”which the government hoped to achieve by providing aid to cities in clearing slums and finding private developers for new housing. The Housing Act of 1954, on the other hand, sought to achieve the same goal by subsidizing not only new housing but also public improvements that would improve the neighborhood environment. The act also required that each city receiving federal aid develop and submit annually a “Workable Program”describing the measures it planned to take for urban improvement. With these new provisions, the program came to be known as “urban renewal,”as opposed to the “urban redevelopment”enacted in 1949. To mark the change, the Slum Clearance and Community Development and Redevelopment program was renamed the Urban Renewal Administration. The 1954 legislation opened the floodgates, so to speak, for federal aid to urban renewal. While the Housing Act of 1949 had authorized federal grants to cities for redevelopment, the government did not actually disburse any of this money until 1953. As the 1950s progressed, the amount of money that the government spent for urban renewal increased dramatically. The government paid out more than four times as much money in 1955, and nearly sixteen times as much in 1960, as it had in 1953. 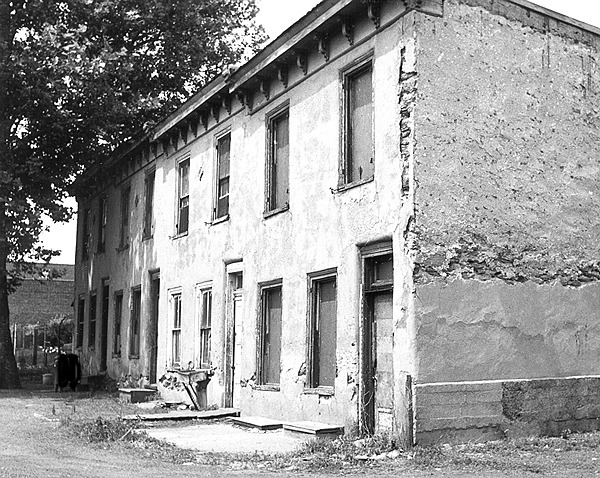 Four years before the initial federal act, on 24 May 1945, the Pennsylvania state legislature had enacted an “Urban Redevelopment Law”authorizing communities within the commonwealth to create local Redevelopment Authorities. (This law was only upheld as constitutional in January 1950 by Pennsylvania Supreme Court Justice Horace Stern.) The Secretary of the Commonwealth of Pennsylvania, as enabled by the state law, issued a Certificate of Incorporation on 2 October 1945 for the Redevelopment Authority of the City of Philadelphia (RDA), which was in full operation by 1946. By acquiring and clearing property through condemnation proceedings, the RDA was a key player in much of the post-war redevelopment that took place in Philadelphia. The other major city organization with respect to redevelopment was the Philadelphia City Planning Commission, which had been created by a City Council ordinance in 1929. The Planning Commission oversaw the redevelopment process throughout the entire city by certifying areas for redevelopment and creating planning reports for each area and the city in general; it was not involved in the actual physical redevelopment. On 9 January 1948, the Planning Commission certified eight areas for redevelopment, including an area in West Philadelphia south of Market Street which it titled “Redevelopment Area No. 4 (University).” Five weeks earlier, on 26 November 1947, the Executive Committee of the University’s Development Fund had passed a resolution calling for the Trustees’ Committee on Physical Development to prepare a comprehensive model of Penn’s future campus. The Committee on Physical Development reported back to the Trustees on 25 October 1948, outlining plans for the expansion of Penn’s campus and stating, among other things, that “the Chairman of [the] Committee [Sydney E. Martin] has kept in close touch with the staff of the City Planning Commission.” After Penn announced these plans publicly in November 1948, a Philadelphia Bulletin editorial stated that “[f]ew more important programs for sections of Philadelphia have come to the fore in recent years.” In September 1950, the City Planning Commission featured Penn’s plans for expansion in its University Redevelopment Area Plan. In the 1950s and early 1960s, the University entered into a series of successful redevelopment contracts with the RDA to realize its expansion plans. Philadelphia Mayor Bernard Samuel approved the first of these contracts, involving new buildings for the Wharton School (Dietrich Hall, now joined with Steinberg Hall) and the Physics Department (now the David Rittenhouse Laboratory), by signing a City Council resolution on 16 May 1951. On 14 June 1957, Mayor Richardson Dilworth signed a City Council ordinance authorizing the RDA to execute its redevelopment contract with Penn’s Trustees for the so-called Project “A”between 32nd and 34th Streets and Chestnut and Walnut Streets. 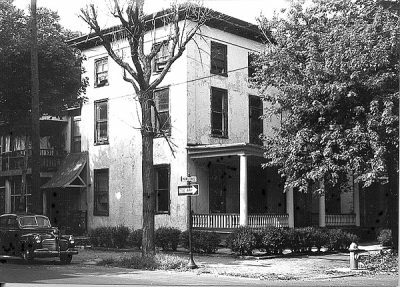 On part of this land, the University constructed what is now the Hill House, a dormitory for female students; other portions of the land were eventually turned over to Drexel for its own campus expansion. On 24 December 1959, Mayor Dilworth signed an ordinance authorizing the RDA to execute its redevelopment contract with the University’s Trustees for the planned Annenberg School for Communication. Finally, on 13 August 1962, Mayor Tate signed an ordinance approving the redevelopment contract between the RDA and the University’s Trustees for a Men’s Dormitory Triangle (now the Stouffer Triangle). The influence of the Housing Act of 1954 on Penn’s campus expansion can plainly be seen. The University received federal aid for the first time for Project “A”in 1957; the earlier Wharton and Physics buildings and the later Annenberg School and Men’s Dormitory Triangle projects were entirely financed by the University. To pay for these latter projects, Penn had relied primarily on funds from alumni and other members of the community. After the Housing Act of 1954, the University was able to achieve its expansion without being limited by the lack of available funds. The redevelopment process advanced very smoothly throughout Penn’s campus expansion in this period. Dietrich Hall and the Rittenhouse Laboratory were completed in 1952 and 1954, respectively. The Hill House opened its doors in 1960, as did the Annenberg School in 1962. It seems that the only major obstacles to the proceedings were people who did not accept the price that the RDA offered for their homes. One of these people was Mrs. Mary Keating, who refused to move from her home at 3249 Sansom Street (included in the Project “A”land) in 1958.” I don’t want more than is owed to me,”she told reporters, “but I do want that.” However, few property-owners followed Mrs. Keating’s example, and the ease of Penn’s expansion in the period leading up to the formation of the University City Science Center no doubt played a major role in its eager support of that redevelopment venture.